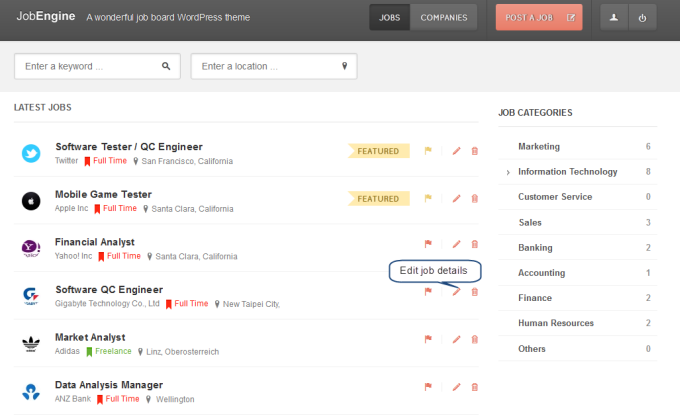 Both employer and administrator can edit jobs. However, an employer can make changes only on his posted jobs while an administrator can modify all job posts. 2. Enter new information on designated fields. 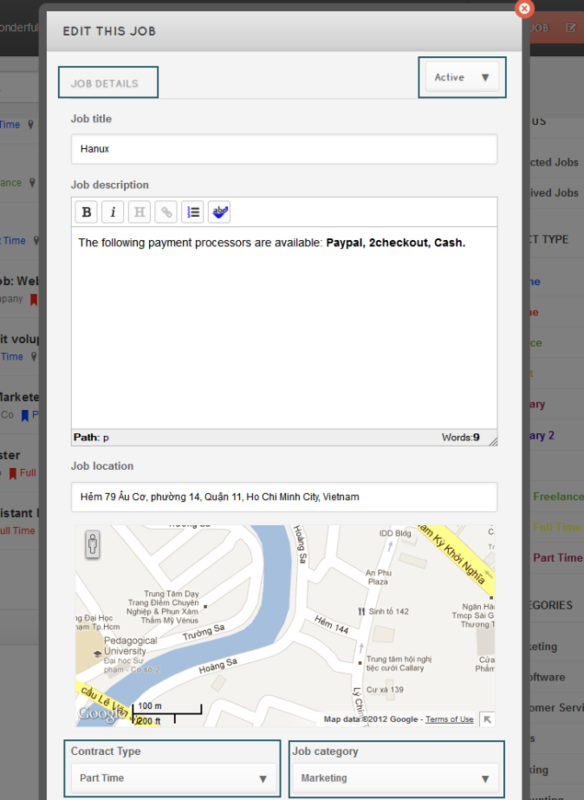 You may edit the job’s title, description, location, status, contract type, and category. You may also change the company’s logo, name, and website link. 3. Click Save Change to save edits.